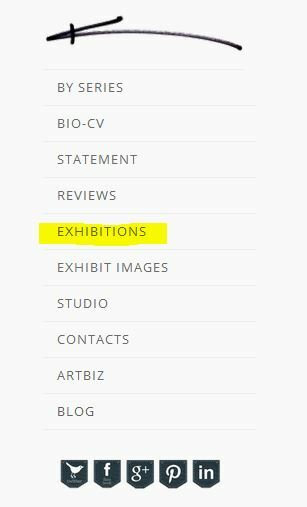 “I’d like to group the menu selections for the art and the info (statement, cv etc); is there a way to insert a space in there? With a space to separate her texts and portfolios. In essence insert a space between By Series and Bio/CV. 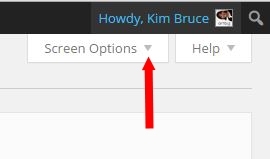 Here are 3 tricks and tips for using WordPress Menus to accomplish what Frances what’s to do. 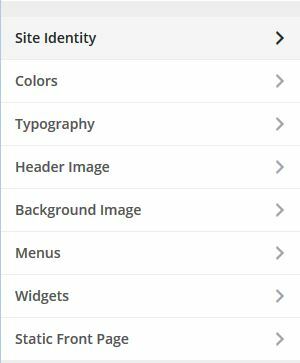 With WordPress Menus you can create as many menus as you like. Using WordPress Widgets you can add menus to your sidebar or any widget area using the Custom Menu widget. There’s only one draw back to using the menu widget to split your main navigation. 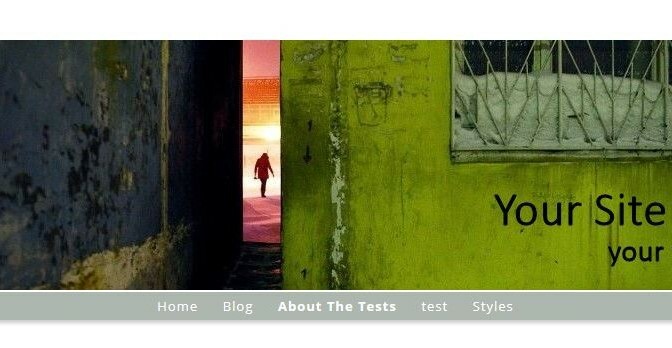 Often the widgets style (font sizes and colours) could be different from the styling of the main navigation. 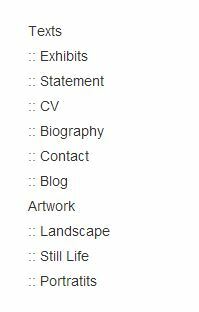 They are in Artbiz themes in order to apply importance to elements. 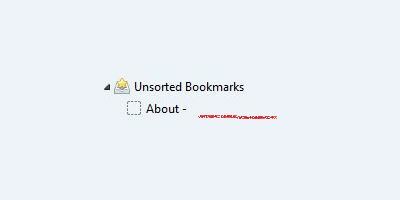 Your menu could look like the image below, not ideal. This option keeps the menu styling the same for all items. 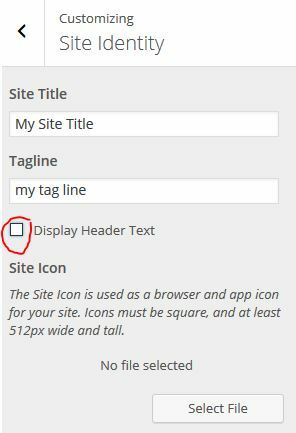 To do this create a custom menu item and change the label to an underscore or another symbol to break the line. 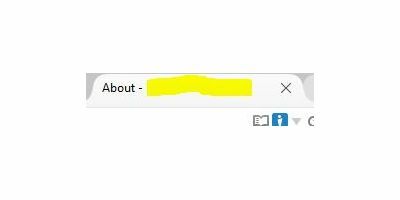 Once it is added to the menu open it and remove the link. On the live site it looks like this…better. The styling of all the menu items remains consistent. This is so simple, you’re going to wonder why you never thought of this. 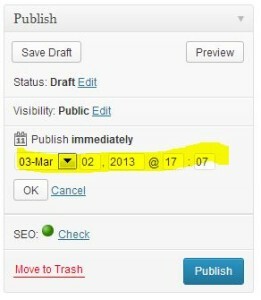 Inside your WordPress admin go to Appearance > Menus and select your main menu. Each menu item expands down by clicking the downward arrow in the top right corner. 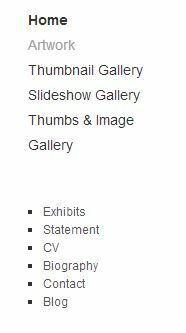 Portfolio and Texts can be dummy parents, meaning they are menu items with the links removed. 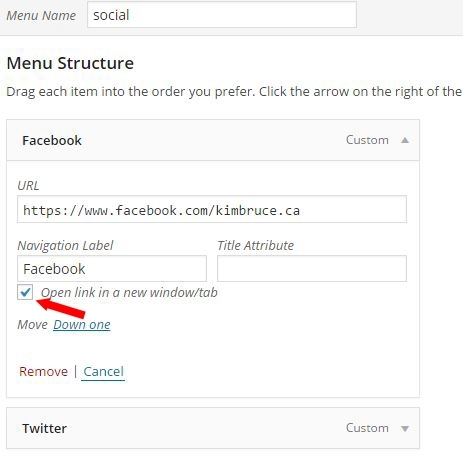 To do this add a custom menu item to the menu and then once it’s in there open it and remove the link. To further differentiate PORTFOLIOS and TEXTS could be all capitals. 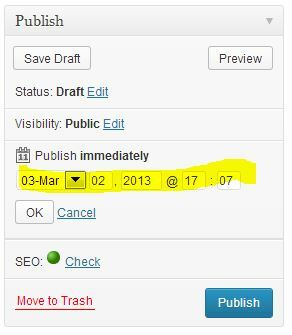 The label does not have to be the exact page title that you entered in the editor. 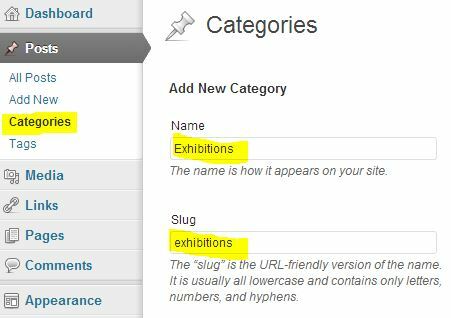 As the example below shows, I shortened the label and added a title attribute which is a tool tip that appears when a visitor hovers over the menu item. 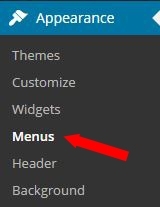 There you have 3 tricks & tips for using WordPress Menus. Which option do you like the best? 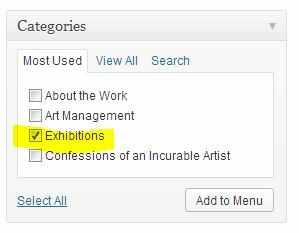 The WordPress Tutorials for Artists is a member’s site for artists, or anyone who wants to learn WordPress. 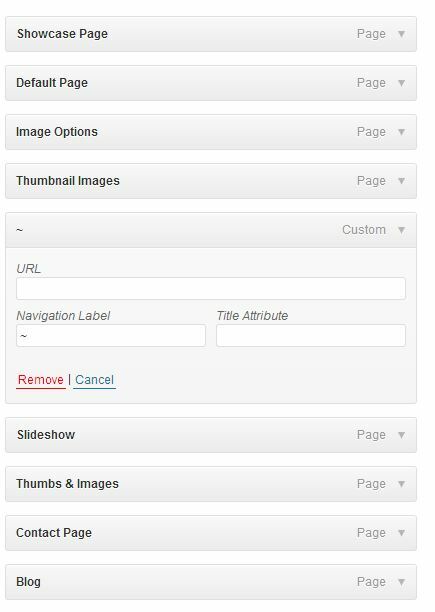 Inside you will find detailed step by step instructions for adding, managing and modifying content and image portfolios for your website and/or blog with WordPress. Artists are visual people; therefore presenting concepts via images with descriptive bubbles and instructional text fits more with the artistic process. Images are road maps with everything laid out as it actually exists in the real world, or the virtual world, as the case may be. 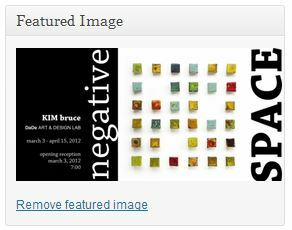 With the WordPress for Tutorials Artists you will learn how to use WordPress with a multitude of instructional images and videos. 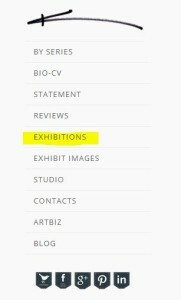 Artbiz Customized Theme and WordPress Plus clients are automatically registered for the tutorial site for free. The tutorials cover the basics in each section, trying to take a progressive approach so that each section builds on knowledge and skill acquired earlier in the tutorials. That said, you can access any section of the school as needed to accomplish specific tasks or simply to refresh your memory. 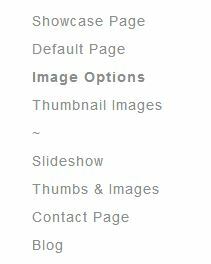 All the screenshots and usage come from WordPress installed on this site or others, but they apply equally to WordPress installed on any site. Since WordPress periodically upgrades its functionality and adds new features, this course will be updated whenever there is a new WordPress release. 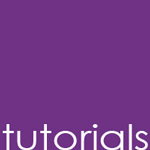 As a member of this site you will be automatically notified by email when ever there is a new or update tutorial. Even if you feel you have it all under control, check back from time to time for information on new features, tips and tricks. 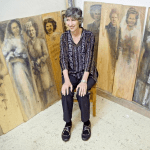 It is the objective of Artbiz and the WordPress for Artists Tutorials to introduce artists to a community of like-minded individuals that share a common goal: website self-sufficiency through the use of WordPress. 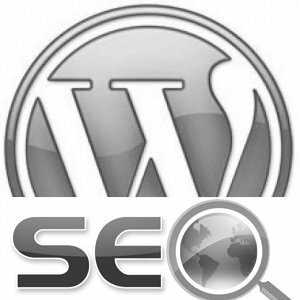 Also on this site you will find a growing list of resources to help you with WordPress and with your art marketing. The Members Area, exclusive to School Members, offers free downloads from art marketing courses and discounts on instructional art videos. 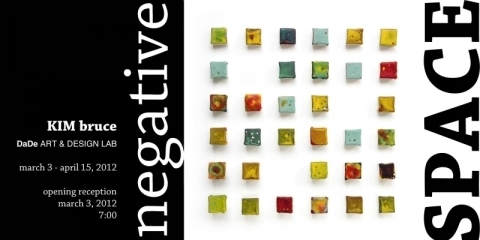 If you are at all uncomfortable with managing your website yourself, Artbiz offers website management services.